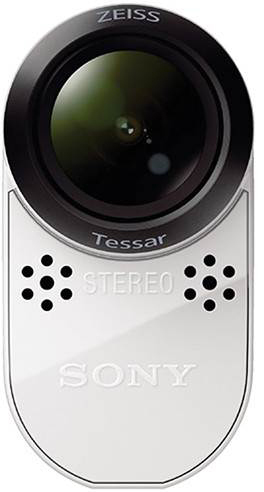 The Sony HDR-AS200V has a horrible hard to remember name but other than that it impressed the hell out of us with it’s price, video quality, mount ability, low light performance and battery life. 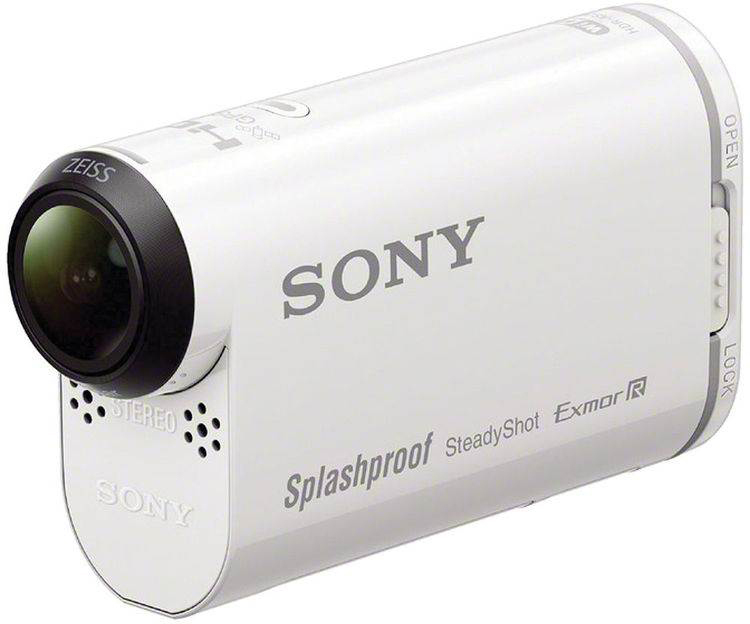 It’s a great cam for snowboarders. 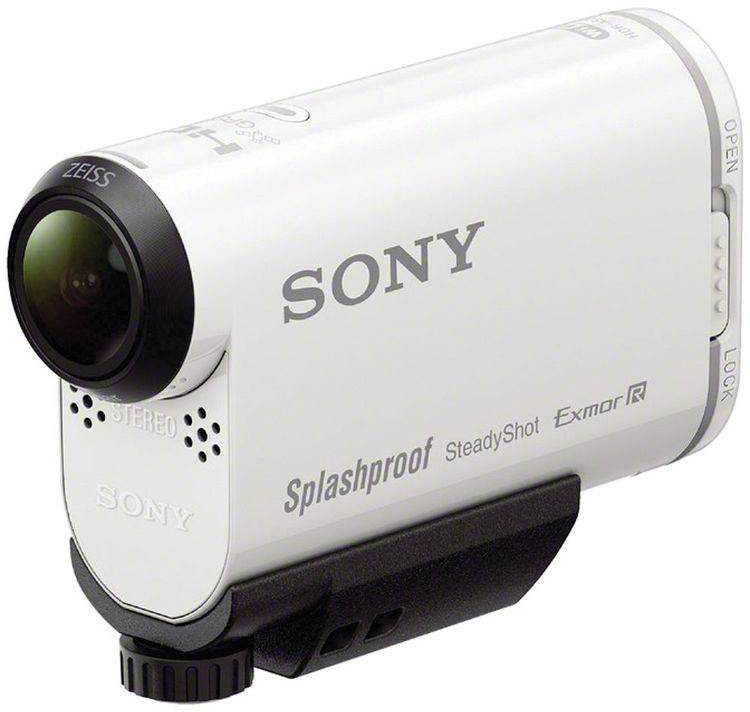 The only thing missing is resolution higher than 1080p but it’s still the cam I’d like to use when I snowboard. Computer Used– Lenovo Yoga 2 Pro with 4k Screen. Video Editing Software Used– CyberLink Power Director 13 Ultra. It recognizes the original format and renders it that way. Steady Shot- Sometimes on and sometimes off. So just to preface this review. This isn’t from some techy camera guy. It’s from a semi-technical snowboarder that wants to film vids, do as little editing as possible and post to Youtube or Vimeo. So this is definitely from a plug and play point and shoot perspective. The only editing I did was to cut and paste clips of similar resolution/formats. The GoPro Hero 4 Silver has some pretty unique features and it’s a very versatile camera for multisport athletes but for snowboarding it’s video quality is a little off the mark and the battery life is lacking a bit. On the plus side it’s got an amazing software interface for the PC and Phone, a very small profile, 4 fields of view and many video formats to play around with. So for me the main factor is video quality but sometimes other features can sway me one way or the other when it comes to choosing an action camera. 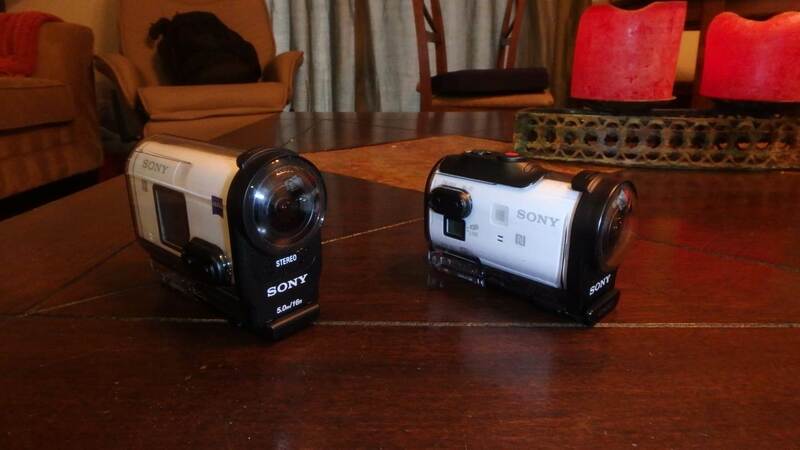 So like I did with the GoPro Hero 4 Black I decided to compare it to the Sony AS200V. They aren’t as apples to apples as the Sony X1000V and the GoPro Hero 4 Black. The Sony costs less and doesn’t have the resolution options but I was surprised how well it fared against the GoPro Silver. 1080p 60fps is still one of the best formats for posting on line and I use this more than any other format. Also it doesn’t hog up your hard drive compared to 4k, 2.7K and other high bandwidth formats. Even at the Lower setting of 25mbps it looks better than the GoPro Hero 4 Silver. 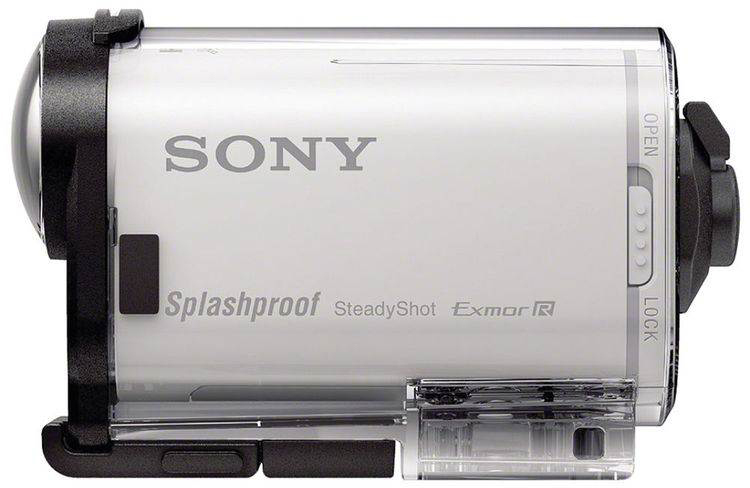 Here is more footage of jimbo doing a little impromptu pond skim with the Sony AS200V in 1080p 60fps 50mb XAVC S.
One of the best qualities about the Sony HDR-AS200V is the Steady Shot feature. It crops the footage and reduces the wide angle but it makes for a better way to film your friends on a mono pod. As you can see it’s not perfect but much better than filming with the GoPro. 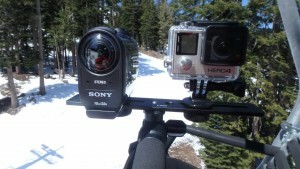 So even at the GoPro Silver’s highest setting you can use for snowboarding. 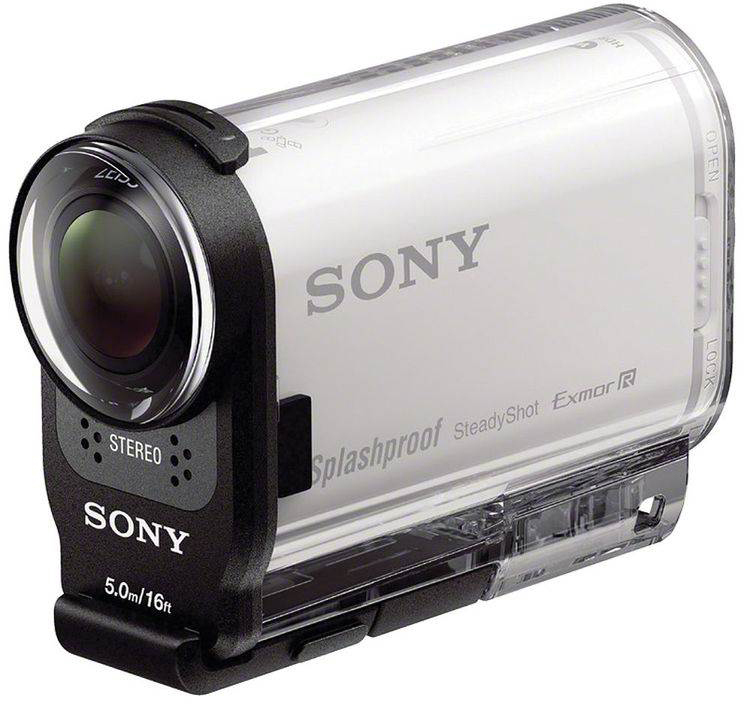 of 2.7k the Sony at 1080p is better. Yes the Hero 4 Silver has 4K at 15fps but it doesn’t work for filming snowboarding. It’s way to jumpy and it looks like you are constantly blinking your eyes as you are watching it. Here is Steady Shot On vs. 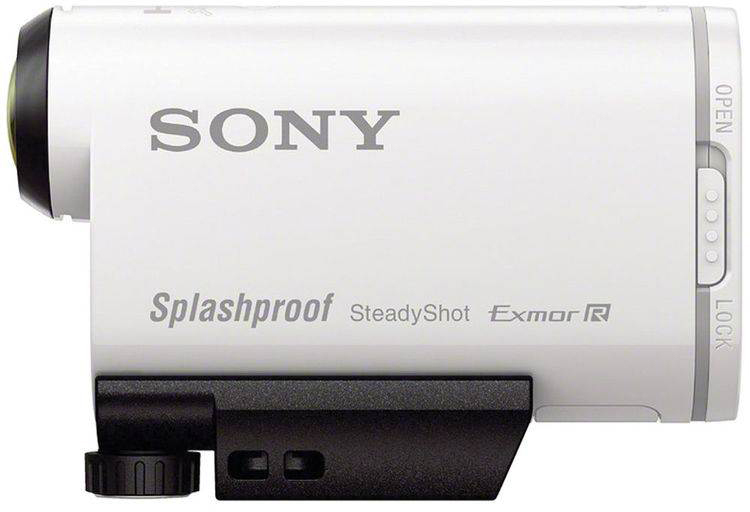 Steady Off with the Sony HDR-AS200V. Here is the filming with Steady Shot off and a wider angle. You can see the difference and it’s harder to keep closer to Jimbo when filming. Also it’s more shaky. I was blown away at how much better this $299 cam was than the $399 GoPro Hero 4 Silver here. Standard Setting vs. Standard Setting the Sony blew it away. Everything looks better and more true to what I viewed with my own 2 eyes. 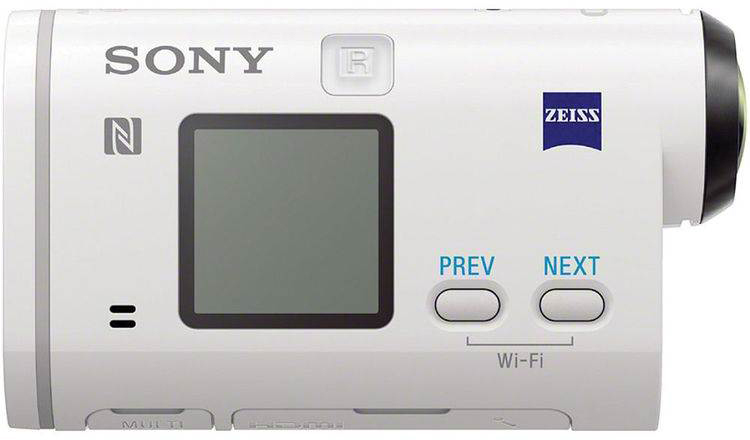 The Sony AS200V could use some work here with it’s play memories app. It’s just not as intuitive as the GoPro’s software. On the phone it’s not bad but could be reorganized from most important to most techy/least important. The PC version was not easy. When I opened it it immediately started syncing up all my photos from my phone folder and didn’t want to stop. I ended up giving up on it. Compared to the GoPro PC software it sucked. I’m not that bummed about it though because its not that hard to pull out the vid files from the micro sd card and it’s really fast editing with Cyberlink. Great battery life. I always like to have another battery but if you keep it in 1080p 60fps 25mbps, WiFi off and no GPS you can make it well past lunch filming almost every run. The more you use WiFi and GPS though the more it drains the battery so if you plan on using those features get an extra battery. With wind block on there is enough volume to clearly hear what you are saying but still not make it super noisy when bombing down a hill. I like the way the wind sounds on this compared to the GoPro as well. It’s smaller than the X1000V 4K cam but a little larger than the Sony Mini Cam. Here is a comparison to the Mini cam so you can see it’s not that much bigger and it’s got better battery life and better video quality. 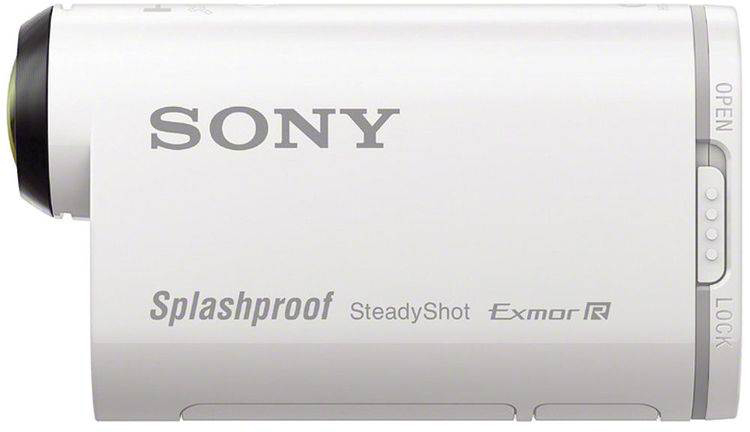 So all in all the Sony Cam line is really impressive these days. They have come away since the first cam we reviewed and now all of their cams would be fun to have in my quiver. Out of the 3 the Sony HDR-AS200V is probably the best call for snowboarders like me that want to film. If you want 4k video then the X1000V is the better call or if you want the easiest to helmet mount the Mini Cam is the better call. However of the 3 we reviewed this has the best balance of size, video quality and battery life. I picked one of these up late last season. 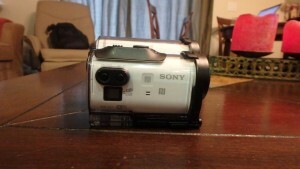 I agree with the review here, and I am really happy with this camera for both Snowboarding, and wake boarding/surfing. 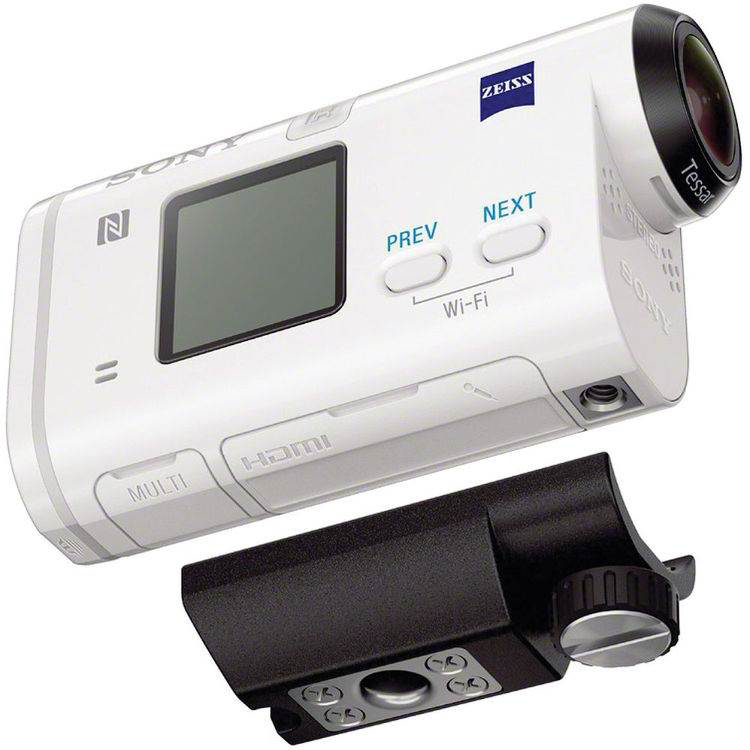 Sony offers a WiFi remote monitor that can be strapped to your wrist and used to control camera settings,start/stop recording, preview the image and even playback. Of course, it doesn't work underwater, but I guess that is to be expected with WiFi. Most of this can also be done with a smart phone instead of the remote monitor. I found this to be really useful when the camera is mounted somewhere (Wakeboard tower, helmet, etc). I have no idea if other cameras have this ability, but I really liked the Sony GPS function. In it's simplest form, just turn it on and go. You have to update the camera on the first use, and after that it is very fast to sync up with the satellites (less than 30 seconds?). 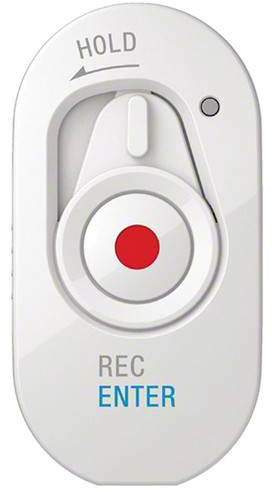 While recording, the camera outputs a text file of position and speed. The Sony editing software can make a couple of different overlays onto the video to show your speed, and/or track (kind of like a speedometer display). More options here would be better. Because the file is text format, I guess you could use the data for other things as well. 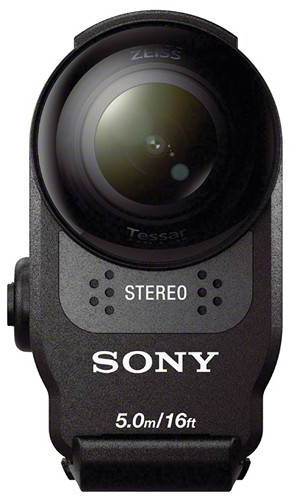 I don't know what Sony calls it, but if the camera is off you can turn it on and start recording with the last settings by just hitting the record button. Took me a while to remember this so I kept recording every time I tried to turn it on (if you hit any other button it will just turn on). I thought it was a great feature to help capture spur of the moment events. Another one not mentioned in the review.. If you use the smart phone app, there is an option to create a highlight reel of the videos taken. It seems to be some really impressive software, with really crappy background disco music. It appears to search through your videos and find similar sections of video, it then groups them together into a short film (for example, it grouped straight high speed portions, nose roles, and crashes as three different segments of the video) . This is done entirely on the camera, so in theory you could make a highlight reel, download from the camera to your phone, and upload it to social media in a matter of minutes.